8 Feng Shui Success Secrets to Improve Your Medical Practice Presented by Diana Garber of Intuitive Concepts, Inc. When you think of Feng Shui, do you think of quantum physics and risk management? Are these tools to create balance, wellness, and reduce stress? If you answered yes, you are correct. Feng Shui (Chinese for wind and water) helps you shape your environment. This energy-medicine practice is an empowering facilitation for change. The classic approach evaluates your specific living or working environment, your personal energies, the surrounding geography, and man’s impact to Mother Earth. Everything is affected by its environment (i.e., our body’s cells thrive in a healthy environment and struggle in an unhealthy one). Classic Feng Shui diagnoses energies that support or work against us. Research to evaluate your environment’s magnetic and electromagnetic influences, inherent energy patterns, and history of the space leads to an analysis that diagnoses your compatibility with the space. It is believed that energy, when directed in a knowledgeable way, promotes harmony, wellness, prosperity, and success. Energy medicine falls into two categories: Veritable (can be measured and employs mechanical vibrations) and putative (have yet to be measured). Feng Shui incorporates both. A clinical study conducted by an M.D. demonstrated that blind children act aggressively in a red room and are calm in a blue room. Color (produced by light) resonates at various energy levels and our bodies respond to it. This is also demonstrated by the condition called SAD (seasonal affective disorder). It was experimentally proven that all organisms receive cues from local electromagnetic frequencies (EMF) that regulate their metabolic activities. Studies indicate that genetic expression is influenced by EMF’s and that the evolution of all organisms has been guided to a certain extent by local EMF’s. In studies conducted by Hippocampus Research Facilities, various subcellular and cellular characteristics were measured under bio-resonance conditions. The data shows a possibility of immune cell activation, functional normalization of hormone receptors, different anti-tumor and various anti-aging effects. Putative energies are based on the concept that human beings are subtle forms of energy. Examples are acupuncture, Chinese Medicine, Ayurvedic medicine, massage, Reiki, and homeopathy. Please join me for an informative journey into health and wellness, and obtain tips you can use immediately. 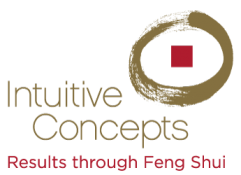 Ronald McDonald House Charities (RMHC) is pleased to collaborate with Diana Garber of Intuitive Concepts to offer Feng Shui for Healing & Comfort workshops for RMHC residents. These workshops are held bimonthly on the second Tuesday from 6:00 – 7:30 p.m. at 711 E. Livingston Avenue, Columbus, Ohio. During workshops, families will hear about energy medicine (in this case the practice of Feng Shui) and how one’s environment (such as living space) can challenge or enhance health, balance, and comfort. Participants will learn about color studies; but Diana will go beyond the use of color for wardrobe trends or for rooms – she will customize workshops to address each patient’s energy colors (personal colors that can boost each person’s well-being). Diana will provide many tips for patients that can be applied immediately, as well as suggestions for their return home. Diana was recommended to us by one of our donors (via physician referral and the donor’s family experienced healing). As a Feng Shui Master, she is an expert in her field and is the only Feng Shui practitioner to speak at a medical convention. Diana was the first Feng Shui Certified Practitioner Member at the Academy of Integrative Health & Medicine; and has consulted with several medical institutions (including The Ohio State University Medical Center), physicians, and patients. Residents, we hope you’ll join us for these informative workshops. For more information about Diana Garber, please visit IntuitiveConcepts.com. For questions about workshops, please contact RHMC Family Activities Manager, Abigail Brummé. Any information presented within these workshops is not meant to diagnose, treat, cure or prevent disease. Please consult your physician.